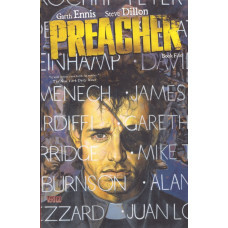 Garth Ennis (born 16 January 1970) is a Northern Irish comics writer, best known for the Vertigo series Preacher with artist Steve Dillon and his successful nine-year run on Marvel Comics' Punisher franchise. 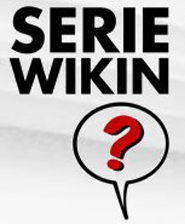 He has collaborated with artists such as Steve Dillon and Glenn Fabry on Preacher, John McCrea on Hitman, and Carlos Ezquerra on both Preacher and Hitman. 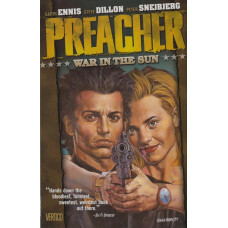 In this final PREACHER volume, Jesse Custer makes amends with his girlfriend, Tulip, then seeks revenge against his form.. 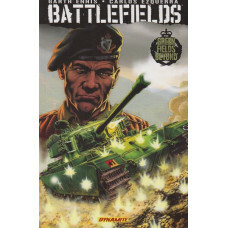 Writer Garth Ennis’s violent, scabrous journey across America’s religious landscape continues in this fifth volume.Preac..
On the killing fields of Korea, veteran Sergeant Stiles and his "Tankies" finally have a war machine suited for any oppo.. 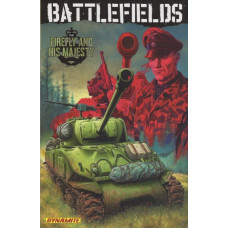 The Tankies' Sergeant Stiles returns, recently promoted and angrier than ever! He's got a new crew and a new tank - a Sh.. 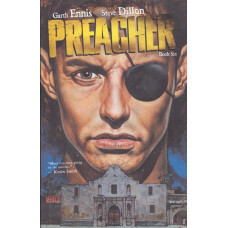 Written by Garth Ennis Art by Steve Dillon and Peter Snejbjerg Cover by Glenn Fabry This new edition collects the story ..